CRMA: Computerized Radiographic Measurement Analysis. A sprain occurs when the Ligaments Stretch or Tear. When the Spinal Ligaments are damaged they allow the spine to significantly misalign while the spine is being used, which is the #1 Reason why so many people suffer from Back and Neck problems. Using CRMA helps identify and find the areas of spinal instability in one or more of the 220 stabilizing ligaments. 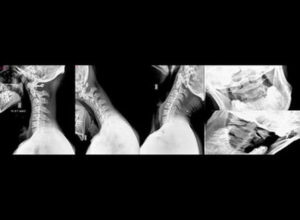 Using this advanced procedure in the office allows Dr. Vanina to more accurately & reliably determine the problem areas of the spine, so he can appropriately treat the causing injury found by thorough diagnostics and examination.